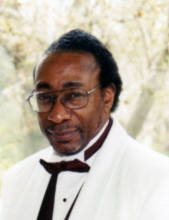 Charles S. Williams, age 72, of Fremont, passed away Thursday, April 3, 2019, at his home. Graveside Services will be held Thursday, May 9, 2019, at 1:00 P.M. at Omaha National Cemetery. To send flowers or a remembrance gift to the family of Charles S. Williams, please visit our Tribute Store. Guaranteed delivery before Charles's graveside begins. "Email Address" would like to share the life celebration of Charles S. Williams. Click on the "link" to go to share a favorite memory or leave a condolence message for the family.